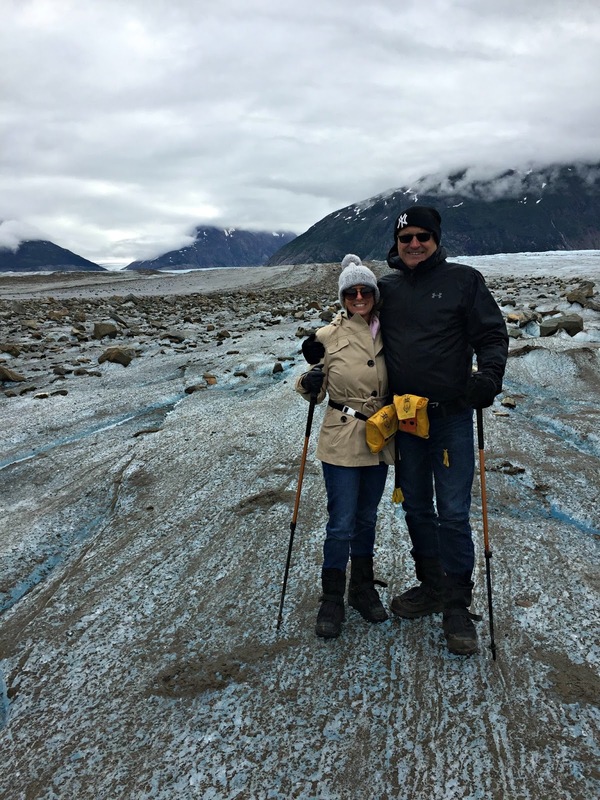 Back to share part 2 of our Alaskan cruise travel guide. 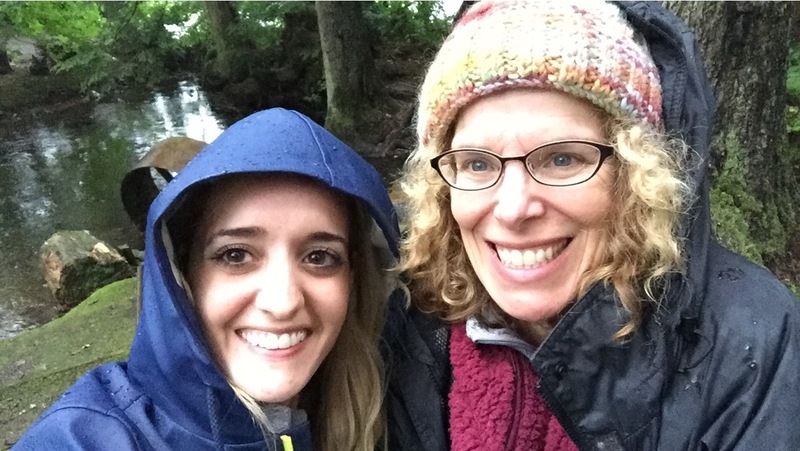 I ended my last post as we were leaving Sitka (if you haven't read that post, catch up here!) Today I will be taking you through the rest of our trip - Juneau, Skagway, Ketchikan & Vancouver! After leaving Sitka, we started our journey to Juneau, Alaska. 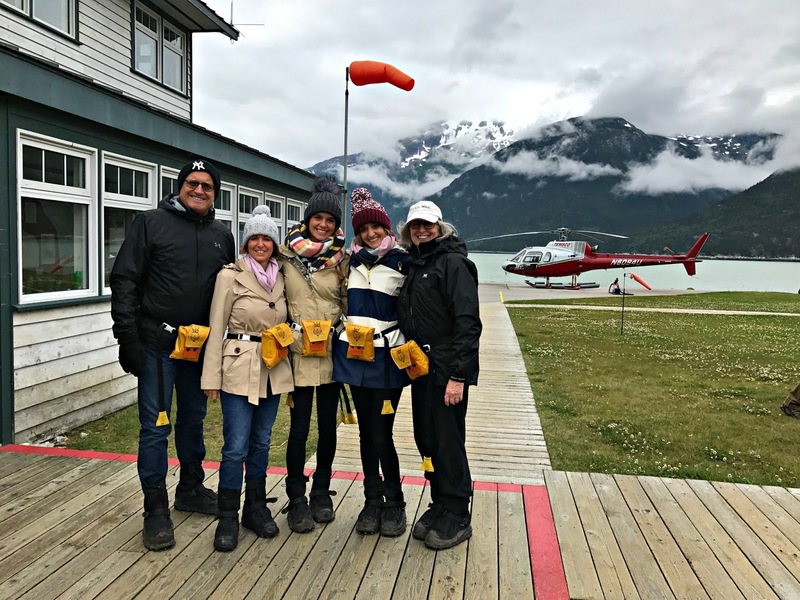 We had booked an excursion for this city to take a helicopter to Mendenhall Glacier, but we had been tracking the weather & it didn't look so great, so we were totally unsure of what was going to happen! We arrived in the port of Juneau around noon to the rainiest day ever!!! I mean, it literally just steadily rained for hours on hours on hours. (Definitely was missing my rain boots on this day in particular, but was happy to have my raincoat! Check out my full packing guide here) For safety reasons, our helicopter/glacier tour was cancelled along with many of the other tours that were scheduled for that port. We ended up walking around the city & visiting the Alaska State Museum. It was really interesting to learn some of the history of Alaska (gold rush era, becoming a US state, etc). The museum was only a short walk from where the ships' come into port and took about an hour to walk through. * Travel Tip: If you don't have excursions planned before you leave for your trip, don't fret! Almost every city we visited had a visitors center where you could find day trip ideas & learn about the area. Our cruise ship's excursions desk was also super helpful! They were able to advise us on timing of excursions, how streneous the activities were, what to bring/wear, etc. That night, we had planned to have dinner off the ship at a Salmon Bake. It was STILL raining, but my dad, aunt & I decided to go anyways & I was really glad we did! First of all, how often are you in Juneau with the opportunity to go to a salmon bake? Second of all, it was nice to be off the ship as much as possible since we had limited time in each port. The salmon bake dinner ended up being one of my favorite parts of the entire trip! It was a covered picnic-like area with heaters (so we did stay warm & dry despite the rain!). The food was amazing - we ate freshly cooked salmon, cornbread, salmon salad, potatoes and more. After dinner, there was supposed to be a campfire with s-mores, but because of the rain they had to cancel that part. Before we left we walked up a short hill to the largest waterfall I'd ever seen! Because of the rain, the water was coming down in buckets (video below!)! 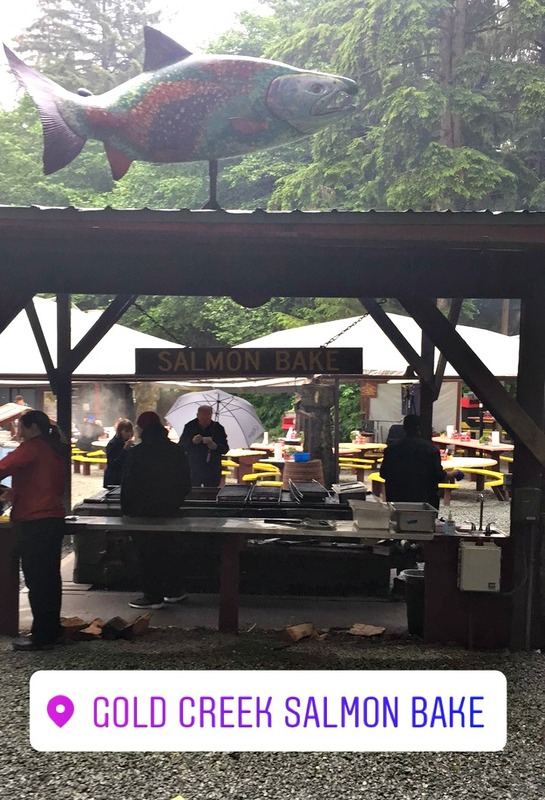 *Travel Tip: We learned that there were supposed to be about 500 people attending the salmon bake over the course of the night, but only about 50 showed up because of the rain! I'm here to tell you, even if it rains, go to the salmon bake (or whatever excursion you have planned for the rainy day)!! Alaska is actually considered a rain forest so many of the people & tours around the area are prepared for bad weather since it rains so often. They will cancel if the weather is bad enough or for safety reasons (like our helicopter tour). In the middle of the night, we left Juneau and headed to our next destination: Skagway! This was definitely the most exciting day of our trip! We were supposed to go panning for gold, but instead we got SO lucky and were able to book a different helicopter tour to take us to Meade Glacier to make up for missing out on the glacier tour in Juneau. We woke up bright & early, bundled up, & headed out for an adventure! The rest of our family went rock climbing & rappelling which sounded like an awesome adventure too! We arrived at the helicopter port, got a quick safety lesson & then were loaded into our helicopters. Each helicopter held 6 people & we had 3 in total fly together to the glacier. * Travel Tip: You can't bring any bags/backpacks/etc into the helicopter so I would advise bringing only what you absolutely need when you go on this excursion. For my family, it was scarves, hats, gloves & cameras! We were able to leave the rest of our stuff in a locked locker at the helicopter port. We rode in the helicopter for about 15-20 minutes before landing directly on the glacier! We were left with our guides for about 40 minutes, where we got to walk around and check out different areas of the glacier. We learned so many fun facts and had lots of time to take photos! 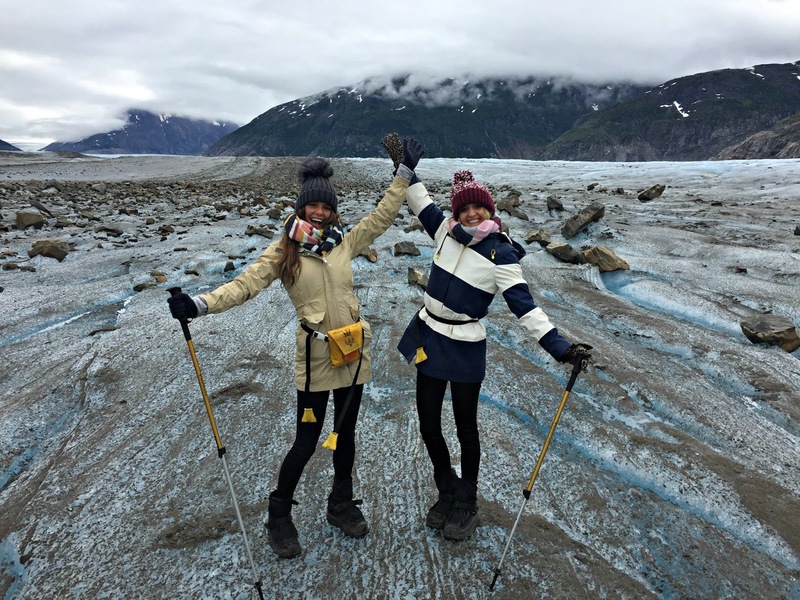 This is definitely one excursion you can't miss; when you think Alaska, I think one of the first things that comes to mind for everyone is glaciers & walking on one was incredible! I highly, highly, highly recommend it! PS. Is this what you guys thought a glacier looked like? I was really surprised by how rocky & covered it in dirt it was! I had imagined much more clean snow & ice. * Travel Tip: In terms of what to wear for this excursion, I would recommend dressing WARMER than you think. This was one of those times that I wish I had layered more. Thick socks, warm hats, scarves & gloves are all recommended, in my opinion. Walking on ice makes your whole body feel cold & the wind is the real deal. You don't need to worry about wearing a specific type of shoe. The tour provided us with special glacier boots (they fit right over my sneakers & had spikes on the bottom to avoid slipping) as well as walking poles to help with balance. Because we did our helicopter tour so early in the morning we had time for another tour in the afternoon (ask your excursion desk if you are able to pull off more than 1 tour per port. They know the timings of everything really well!). The afternoon was much more subdued but still fun as we rode all over the town in an old fashioned streetcar. Our tour guide was SO knowledgeable about the area; she told us stories about the gold rush era, the modern day grocery stores (food only gets delivered once a week to Skagway!!) 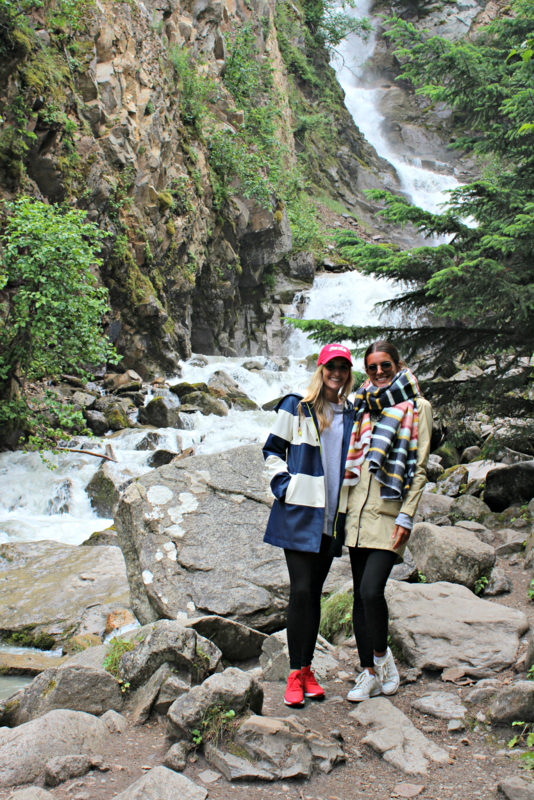 & made a few stops along the way - one at an overlook where we could observe the entire town & one at a huge waterfall! The next day we arrived in Ketchikan! We spent most of our day shopping for souvenirs in this port. The town was super cute & had SO many great shops! During the afternoon, we visited the Great Alaskan Lumberjack Show which was a blast! These were professional or semi-pro lumberjacks (like the guys you see on ESPN) who put on a show and competed in various lumberjack events such as axe throwing, log rolling, etc. This was a great excursion for the whole family - it was entertaining, fun and super interesting to watch! We were split up in this port with some of our family members going on a hike and others going on a float plane. Our last day was another day at sea as we made our way to Vancouver, BC, Canada where we would get off the ship & fly home. 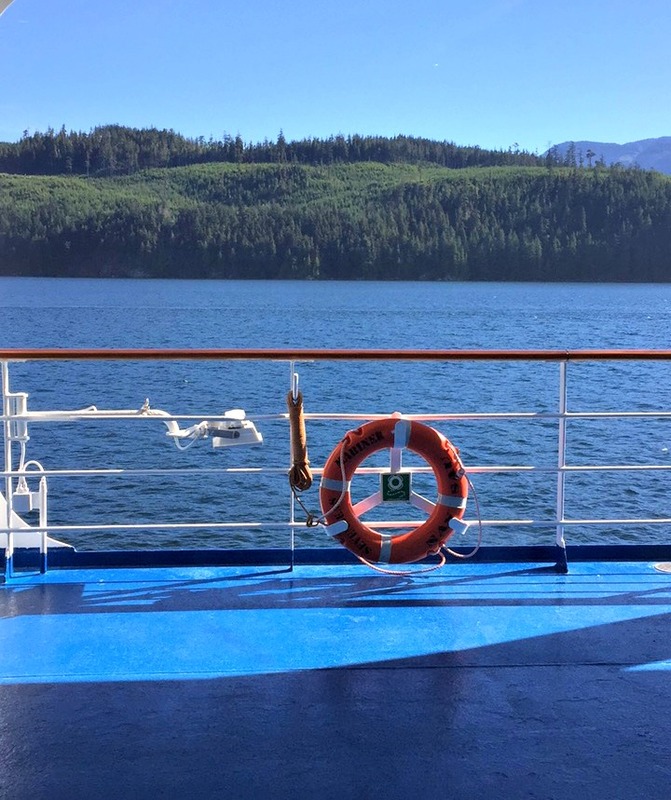 It was pretty funny because we didn't see the sun the entire time we spent in Alaska but it seemed like as soon as we crossed over to Canadian waters, the sun came out! The ship held a BBQ on the top deck & we even got to lay out near the pool for a couple of hours. It was a relaxing way to end such an adventurous trip! * Travel Tip: While in port, the Wifi situation was OK but while at sea, it was difficult to get a signal at times. I would recommend planning to limit your 'screen time' as much as possible while away. Hope you enjoyed this travel guide! It was lots of fun to put together!! If you have any specific questions, let me know! The scenery there looks so amazing. That trip sounds so fun. It was once in a lifetime! Looks like a lot of fun! Beautiful shots! Looks like you had so much fun, lucky girl! For me it's a completely original trip ;) Thanks for sharing this! This looks incredible, Michelle!! I can't wait to go now! Michelle, this trip looks and sounds so amazing! Gorgeous photos! It was amazing! I definitely recommend it if you ever have the chance! Looked like you really had a blast. 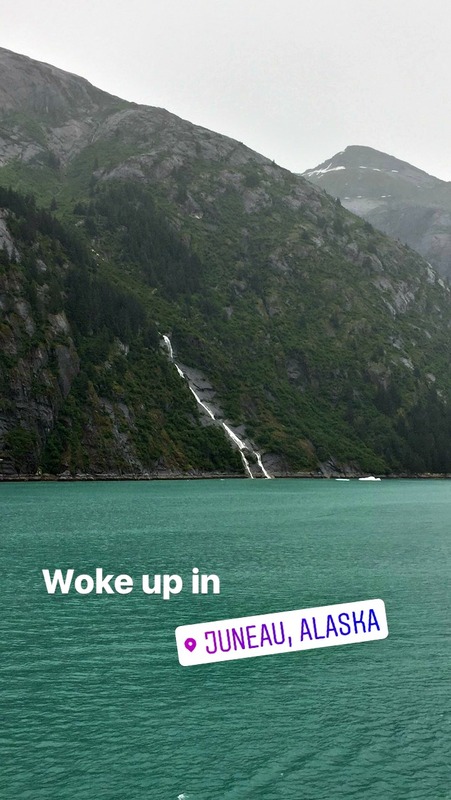 Alaska indeed, is a breathtaking place. Lovely photos by the way.